Munich based Luxury Prêt-à-Porter designer, Irene Luft presented this season’s SS19 collection titled ‘Neon Noir‘ showcasing classic and feminine shapes, dark and transparent frames, mixed with the bold colours of mirrored lenses. 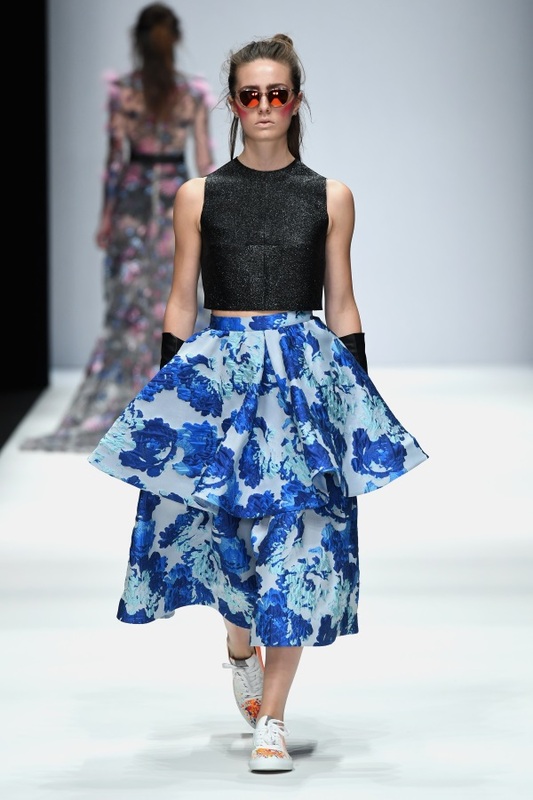 The designer’s choice was for floral and lightweight fabrics as well as shiny jacquards and lace. The contrast between lively and dark colours expressed the mood of this seasons´ collection. The silhouettes stay feminine & romantic with a touch of gloominess. For footwear and accessories, the brand collaborated this season with trendy Swedish brand iDeal of Sweden and Danish brand Copenhagen Shoes. 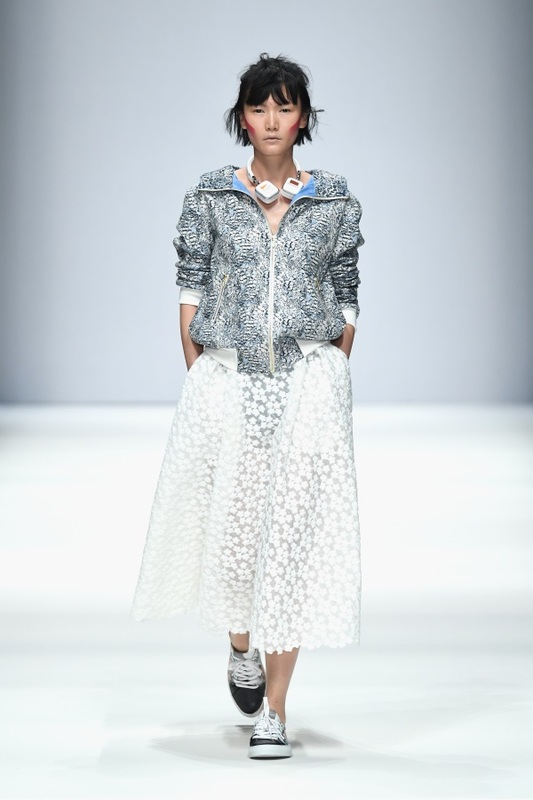 The signature modern romantic style with an edge was evident throughout the collection together with the designers’ tendencies for the contrary, which was reflected by a colourful choice of materials that was set against surreal Asian inspired styling approach and dark accents. Irene Luft Spring/Summer 2019. Photograph: Getty images.